When the Greeks entered the Temple they defiled all the oils and when the Hasmoneans prevailed and defeated them, they searched and found only one cruse of oil which lay with the seal of the Kohen Gadol. It contained only enough oil to light for one day, yet a miracle happened and they used it to light for eight days. 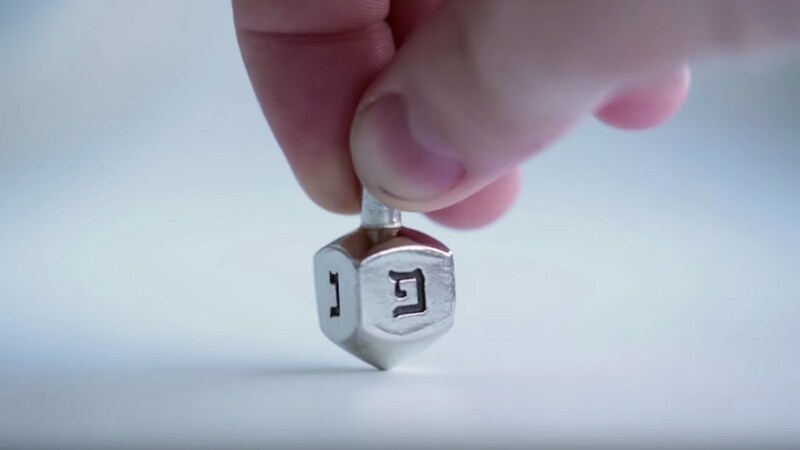 This aspect of the Hanukkah story, learned from the Talmud, is commonly taught to Jewish children in Hebrew and Sunday schools across America; and it is surely the most remembered part of the holiday narrative, told and retold throughout the world. Perhaps this miracle-centered version occurs so often because Jews are more familiar with the Talmud than with the Apocrypha where the historical books of the Maccabees are found. Whatever the reason, the talmudic legend remains the account of Hanukkah that most Jews know. Within it, however, are layers of items to ponder and criticize, and questions to answer. For example, even people who seem to accept the legend and not question the miraculous nature will ask why we must celebrate for eight days; after all, if there was enough oil for one day, then the duration of the miracle was only seven days not eight! The common response from the tradition is that the oil burned extraordinarily slowly, diminishing only a bit for each of the eight days, and therein lies the miracle. Beyond any symbolic explanations for the number eight lie some more practical, concrete, or commemorative explanations. One Rabbinic tradition says that the Hasmoneans (Maccabees) may have needed eight days to become purified, after being in contact with the dead on the battlefield. Purification consisted of being sprinkled with clean water that had been mixed with the ashes of an unblemished, sacrificial red heifer. The sprinkling would have occurred on days number three and seven, and only the next day could the Hasmoneans, now ritually cleansed, produce a new batch of purified oil. Another explanation, the one heard more often claims simply that it took eight days to obtain olives and crush them into oil. 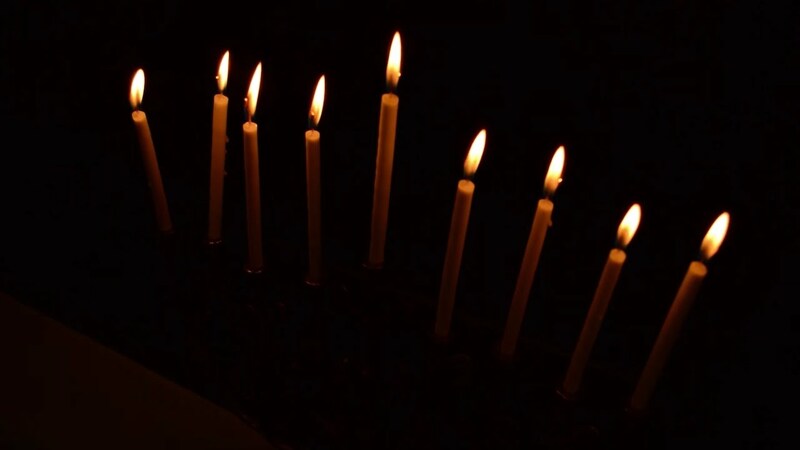 A lesser-heard explanation for the commemorative number of eight and the lighting of candles on Hanukkah is found in Pesikta Rabbati, a collection of midrashim compiled in the ninth to 13th centuries. It says that when the Hasmoneans entered the Temple, they discovered eight iron rods. Into these, they carved grooves, filled the grooves with oil, and then kindled wicks in the oil. According to this tradition, the eight days of Hanukkah honor that specific moment when the Hasmoneans officially took control of the Temple. The questions surrounding the eight-day miracle of the oil are fascinating, and Rabbinic literature discusses them at length. When we look at the purely historical sources, however, such questions are not part of the discussion. Flavius Josephus, the most significant historian living in the ancient Near East, makes no mention of a miracle in his account of the Hasmoneans and the rededication of the Temple. The sanctuary was purified on the 25th of Kislev, the same day of the same month as that on which foreigners had profaned it. The joyful celebration lasted for eight days, like the Feast of Tabernacles [Sukkot] and then they recalled how, only a short time before they had kept that feast while living like wild animals in the mountains and caves. So carrying garlanded wands and flowering branches, as well as palm fronds (i.e. the ritual symbols of Sukkot) they chanted hymns to the One who so triumphantly achieved the purification of his own temple. This version explains that Hanukkah was a belated celebration of the fall festival of Sukkot, because the Jews had not been able to celebrate that holiday during wartime. In the next verse of the same chapter, the text says that the celebration should be repeated every year to commemorate what happened in the Hasmonean era. Having eight days of Hannukah is as a parallel to the eight days of Sukkot (including Shemini Atzeret). This connection may also inform two related matters. One is a passage in the First Book of the Maccabees that refers to Sukkot as the holiday of independence, thus mirroring itself back onto Hanukkah. The other is the selection of the lulav (one of the four species used during Sukkot) as the symbol that was imprinted on Hasmonean coins of the period. Reprinted with permission from Celebrating the Jewish Year: The Winter Holidays, published by Jewish Publication Society.